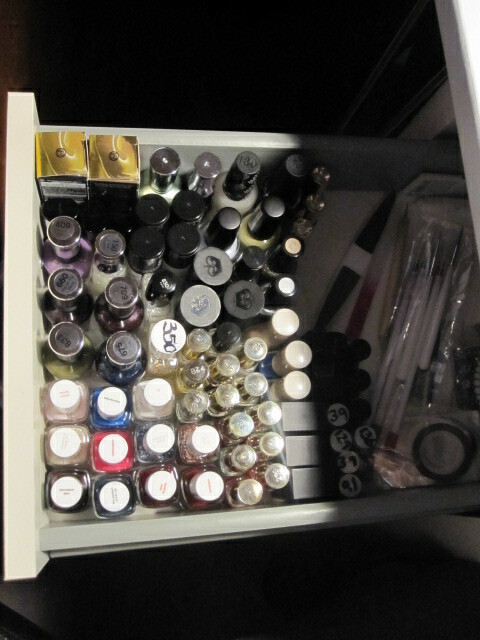 For quite some time I’ve been thinking of a way to organize my nail polish collection. I don’t think I’m ready to have one of those wall-mounted racks like this one and we don’t have that more floor space left to put a cabinet or something similar. That’s why I currently store it in this drawer underneath our desk in the bedroom. But while I have them organised by brand, it’s not that easy to see which colours I have, and I’m kind of annoyed by the fact because sometimes you get inspiration from looking at the colours or you forget which colours you actually have. 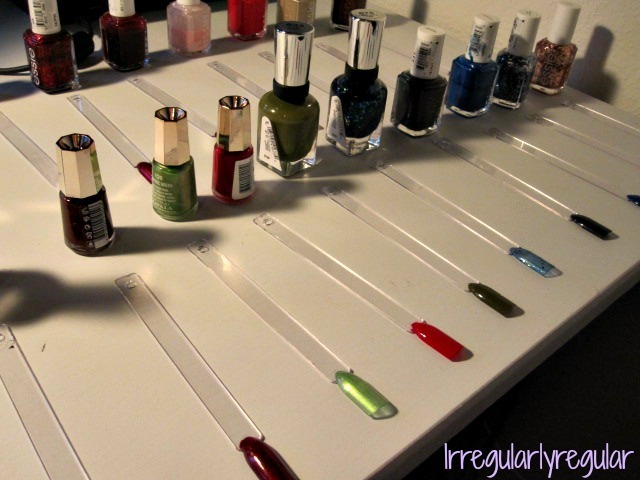 Then it occurred to me that there was another way of seeing all of your colours without displaying all of your polishes. 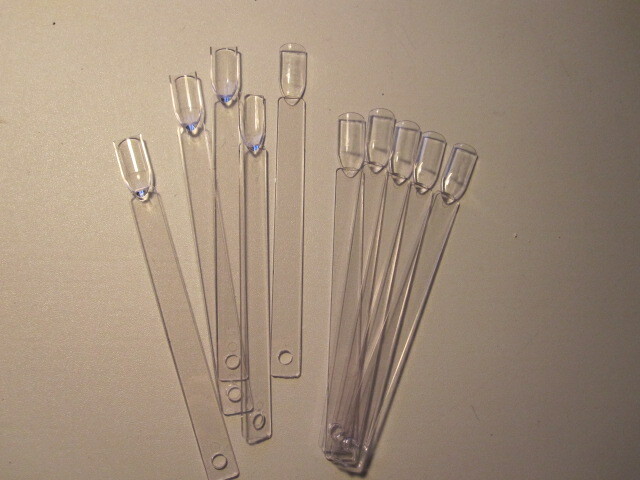 I bought a hundred of these clear acrylic swatch sticks. They came in packs of 50, but one pack wasn’t enough. Then the painting began! And it was fun! I painted about two coats on each except for colours that were less opaque – those I painted with three or more coats. I thought about applying top coat as well, but I didn’t think it was necessary and didn’t want to “waste” top coat. Then I laid them out to dry over night. It took me two nights to get it done because I ran out of space on the desk to put them on. 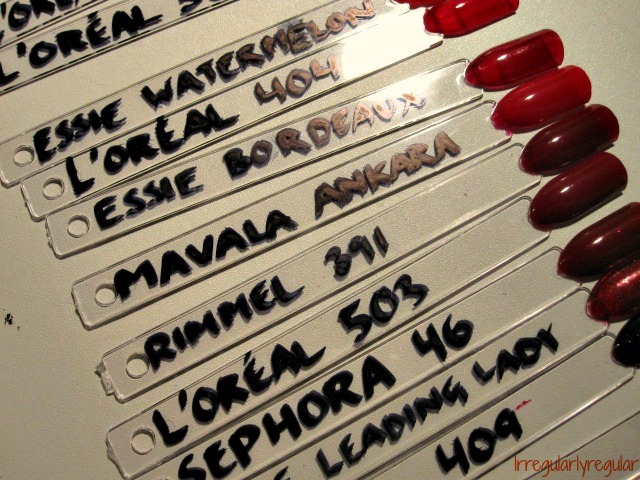 When they were dry, I wrote the brand of the polish and its name or number on the stick. I wrote what was on the cap of the polish so it would be easier to pick up the correct one without checking all of them first. All of the markers and pens I had couldn’t write one these and I didn’t want to go out and buy a label-maker just for this, so I found one of these big, black sharpies and wrote with that. It was a bit hard to fit it all on there and sometimes it gets kind of hard to read, but I basically remember which polish they belong to anyway. Then I put them on the screw that came with them, and I was done! 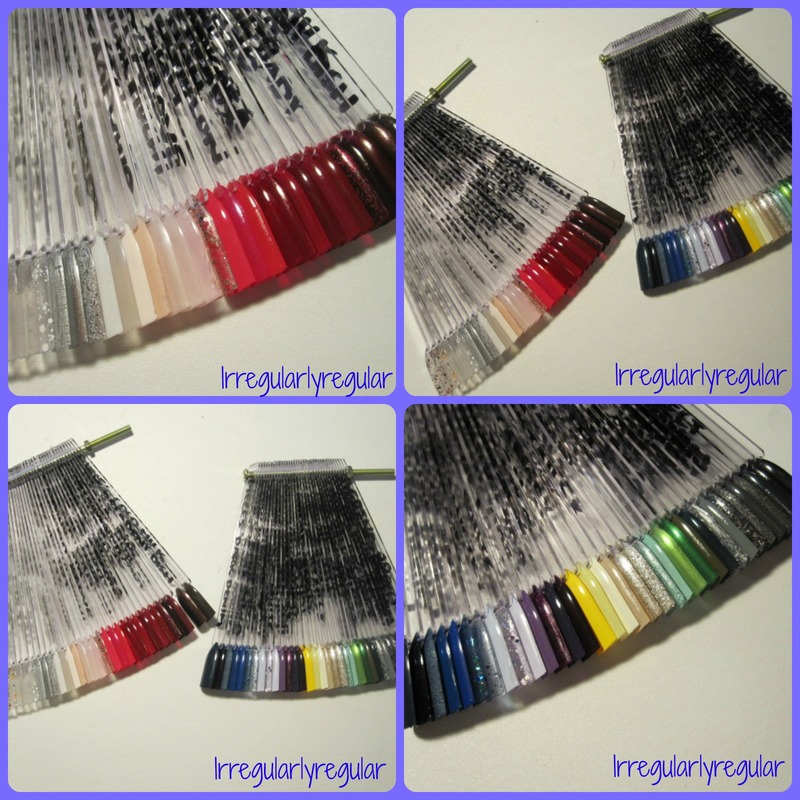 I thought about how to organize them and I considered doing it by brand, but in the end I decided to do it by colour so I would be able to compare two polishes to see which one I would want to use. One screw holds all the clear glitters, silvers, whites, the nudes, reds and browns. The other holds the blues, purples, yellow, golds, greens, greys and blacks. Let me know if you would be interested in a post about my collection where I show you what I have. Ah, me be blind! 😀 Tak! De er gode, men de tager lidt lang tid om at komme..
Det går nok. 😀 Så kan det være jeg kan lave noget produktivt i ventetiden……..